C134 Quick Change has a removable aluminum hub that accepts a range of tires in various face widths and hardness. 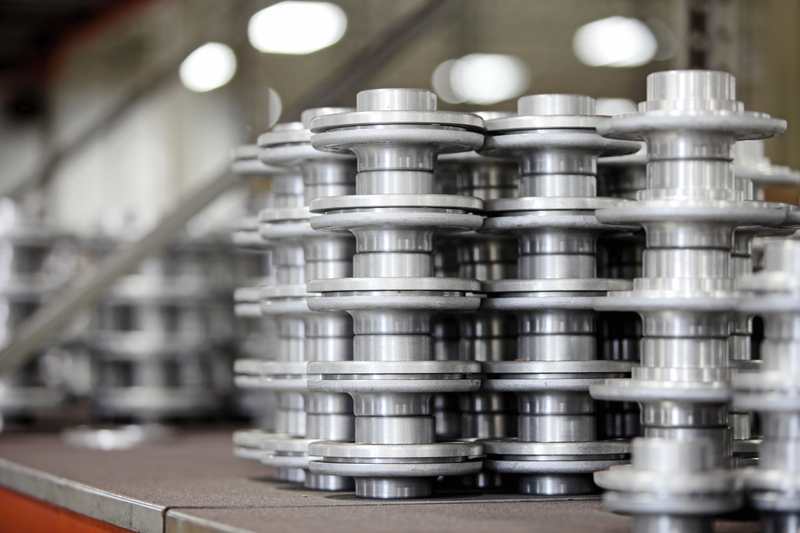 All hubs and tires are independently balanced to assure smooth, vibration-free operation. This wheel (hub and tire) is compatible with those of the same design from other manufacturers. Assembly of a replacement tire onto a quick-change hub is easily done. Simply remove the flat head allen set-screws from the retaining ring; remove the worn tire, and replace it with a new tire; re-assemble the retaining ring and make sure the balance marks are properly aligned. 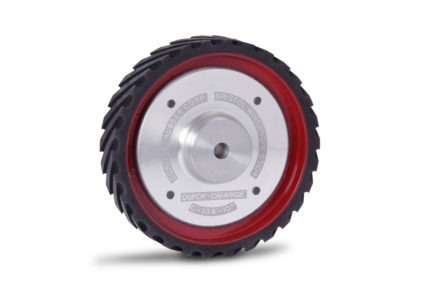 C134 Quick Change contact wheels are available with Soft Grind™ foam covering.